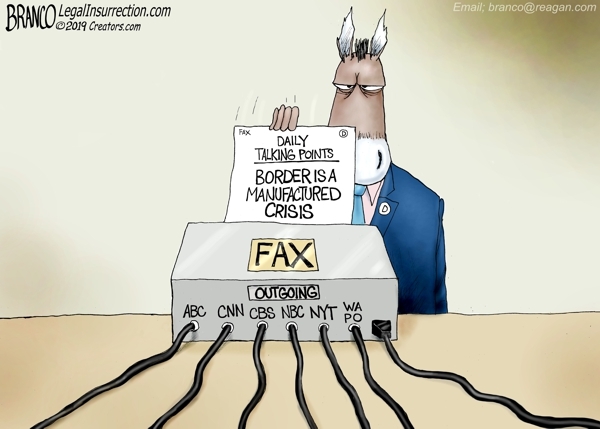 Funny how the Democrat’s daily talking points regarding the border are in lockstep with the mainstream media, CNN, ABC, CBS, NBC, NYT, WaPo, etc right down to the same wording and phrasing. Political Cartoon by A.F. Branco ©2019.